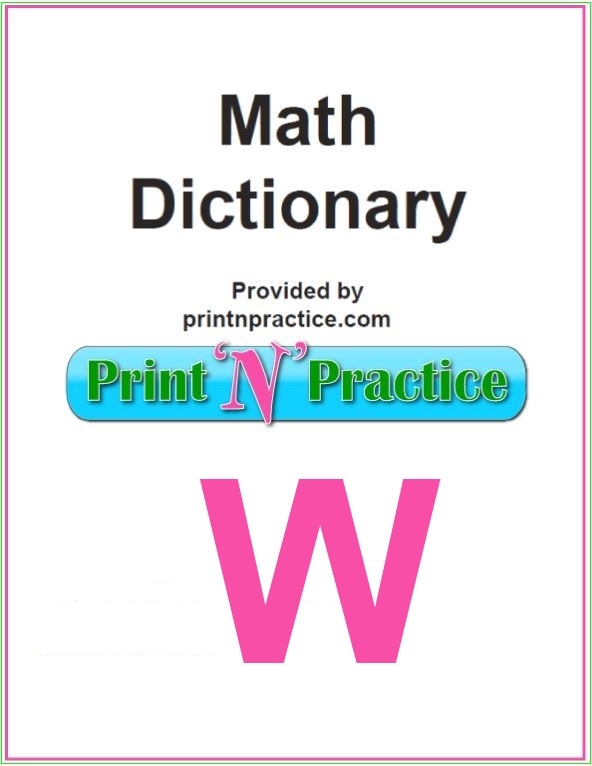 Our Math Dictionary W lists the common Math words that start with W.
Your free Math dictionary is below the W words. Math Words That Start With W: Everyday important terms. 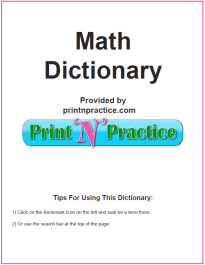 Math Dictionary below. Below are links to our other Dictionary pages and a free PDF of all our pages that you can print for your binder or download to your tablet or iPad. It's so handy to have these all in one place and they can be used throughout the years if you are homeschooling just keep it in the same binder section. There aren't many W words related to Math for the elementary level, but this list is as complete as we can find from five or more old Math books. We'll add more when we find them. Weak Inequality - an inequality that permits the equality case. For example, a is less than or equal to b. Weight - the measure of the earth’s attraction in reference to a certain object. WFF - a well-formed formula. Width of the Triangular Prism - The length of the base of the triangle. Winding Number - the number of times a closed curve in the plane passes around a given point in the counterclockwise direction.